Manufacturer of a wide range of products which include plastic spiral pipe for electrical industries. We are engaged in offering of Plastic Spiral Pipe For Electrical Industries. In order to ensure the quality and flawlessness, we procure our product range from some of the trusted and certified vendors. 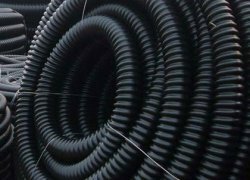 Looking for Plastic Spiral Pipe For Electrical Industries ?